The tri-radial cost over £2k and has only been used once. The aft cabin offers a double and single berth. Cabin heating using a Webasto heater. A Hallberg Rassy 36 centre cockpit in a very nice condition. Interior woodwork in a light mahogany finish with carpet throughout. Accommodation for 6 in 2 cabins and convertable saloon. The present owner has had her for 2 years. All the recommendations that came out of the survey in 2016 have been done. She is at a high standard but unfortunately due to personal reasons he has had to put her up for sale but nevertheless has enjoyed the trips that he has done. 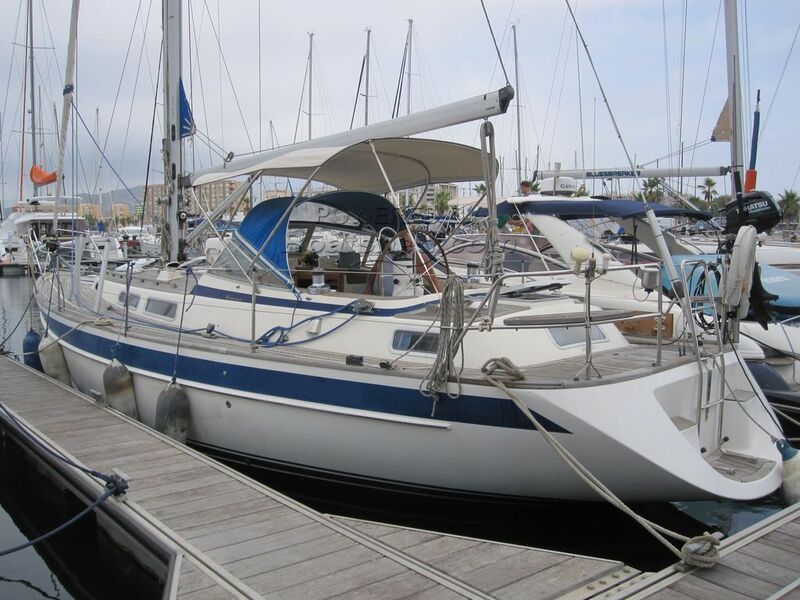 This Hallberg Rassy 36 has been personally photographed and viewed by Andrew of Boatshed Gibraltar. Click here for contact details.